Decatur (population 81,860) sits in the middle of the state of Illinois, linked by U.S. Route 51, Interstate 72, and Illinois Routes 105 and 121. The city is known for its production of soybeans, as evidenced by the location of the world-wide offices of Archer Daniels Midland (ADM) and the A.E. Staley Company. Lake Decatur sits on the east and south sides of the city, where the Chicago Bears football franchise was born in 1920. The city is named for War of 1812 naval hero Stephen Decatur (1779-1820) who captured the British Macedonian in a desperate fight near Madiera Island. Secondary (post-eighth grade) education in Decatur traces its roots back to 1862 when the first high school curriculum was established. 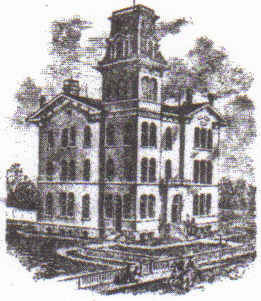 In 1869, the original Decatur High School building was built. This building served in this capacity until increasing enrollment fostered the need for a new building. This larger and more modern facility was constructed in 1911. 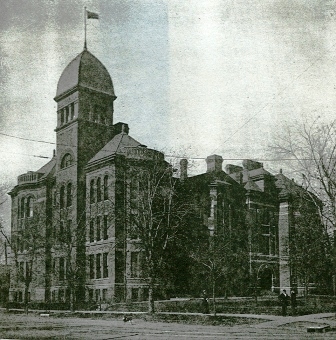 The original 1869 building continued being used in an educational capacity until it was razed in 1929 after 60 years of service. 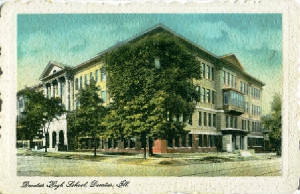 The 1911 building (pictured at the top of this page) served as Decatur High School (later renamed "Decatur Senior High School") until the end of the 1956-57 school year. 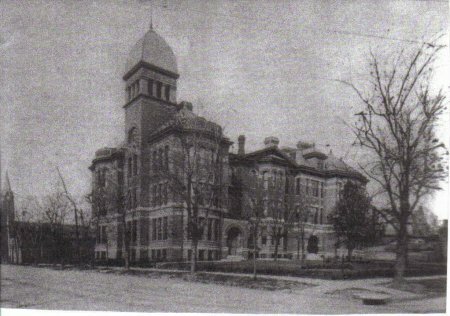 During this time period Decatur Senior High School was Decatur's ONLY public high school. The town of Decatur had experienced an incredible population boom which also caused the town to grow in land area. Residents foresaw the need for the creation of four separate high school buildings located strategically throughout the city. 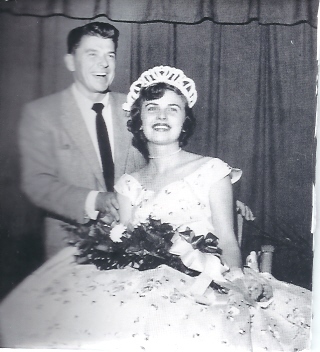 By 1957, the construction of Lakeview, Eisenhower, and MacArthur High Schools were complete. It was also decided to change the name of Decatur Senior High School to Stephen Decatur High School. Stephen Decatur High School classes continued to be held in the 1911 Decatur High School building. The original Decatur High School building was eventually seen as outdated and a new building for Stephen Decatur High School was built in 1975. "The 1911 building (which my grandmother graduated from in 1927) was torn down in the late 1970's to make way for the Decatur Civic Center, which now occupies the downtown site. The columns from the facade of the old building were saved and were erected around a statue of Stephen Decatur on the grounds of the Civic Center several years later." 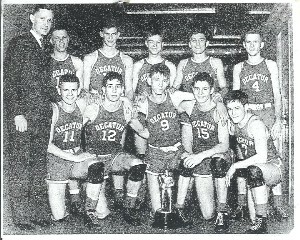 Decatur Senior HS team nickname: Up to 1945 the "Reds"
After 1945 the "Running Reds"
School Fight Song: "Decatur Loyalty Song"
We will cheer you all the time! 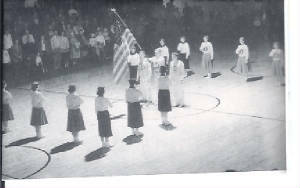 Decatur Senior High School existed before the girls athletic mandate in the early 1970s. The boys competed in a wide variety of sports however. 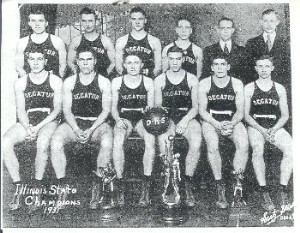 Baseball, basketball, football, track, golf, tennis, as well as, quite probably, cross country and wrestling were all offered to the boys of Decatur Senior High School. The best of these teams and individual efforts as listed on the IHSA website (www.ihsa.org) are listed below. 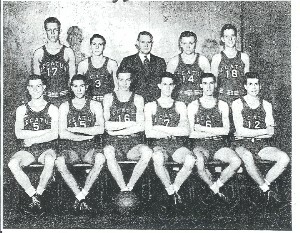 The basketball team was the top of the heap at the school, winning three state championships in the single-class era, all under the leadership of Gay Kintner in 1931, 1936, and 1945. Several other great seasons combined to make Decatur High a perenial powerhouse in high school basketball each year in Illinois. The boys tennis program showed a real "love" for the game from the beginning. A State Championship, two runner-up finishes, and a total of SIX top-ten finishes hi-light the Decatur High School tennis successes. Two top-ten finishes and six District Championships were won by the Decatur High School Reds linksters. Eight District titles and four Sectional Championships made the DHS Reds a team capable of winning the state title each year. The Reds advanced to the Elite 8 on four occasions and the Final Four once. The Decatur High School tracksters earned a ton of medals and garnered nine top-ten finishes and eight District titles during its tenure. ---Gay Kintner - won 649 games as basketball coach from 1928-60 at Decatur and later Stephen Decatur High School, including three state titles, for a winning percentage of .708. ---Van Howe - compiled a 43-24-5 record in football from 1948-56 (.632), with three seasons of seven wins each. ---Frank Lindsay - brought home six medals from the state track meet between 1898-1900, winning once, taking four seconds, and one third. The football stadium and track at nearby Millikin University are named for him. ---Paul Powers - a double winner in the 100 and 220 yard dashes at the 1916A state track meet. to tell the story about the history of Decatur High School. If you have any additional information or pictures, we would be most happy to use it. Please email your information to us at dr.veeman@gmail.com or send it to the address listed below. Special thanks go to longtime Decatur sportswriter Tom McNamara for his help, along former Chicago sportswriter Jim Enright's book March Madness: The History of High School Basketball in Illinois (1977) for valuable information in preparing this page.